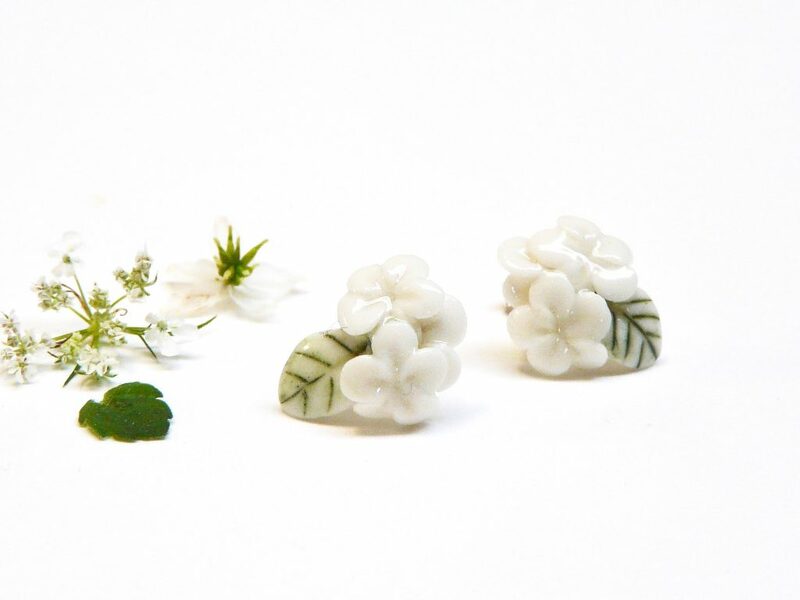 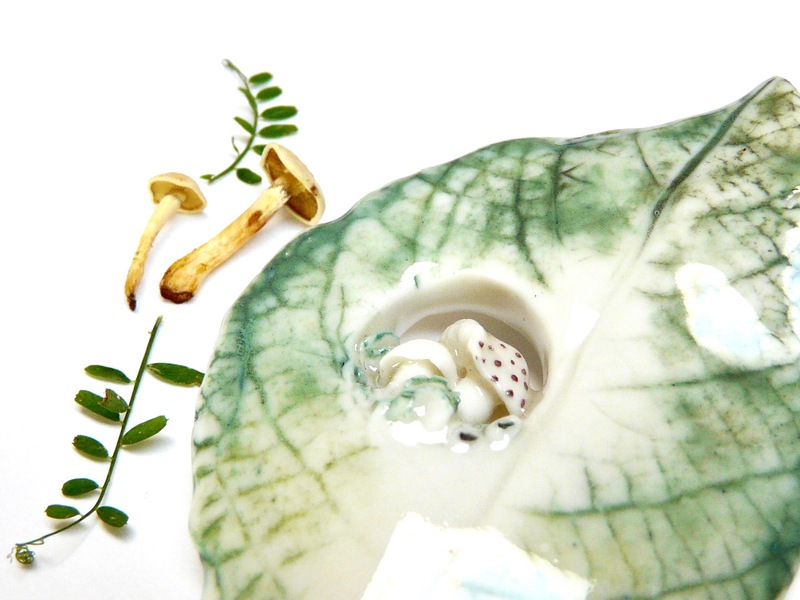 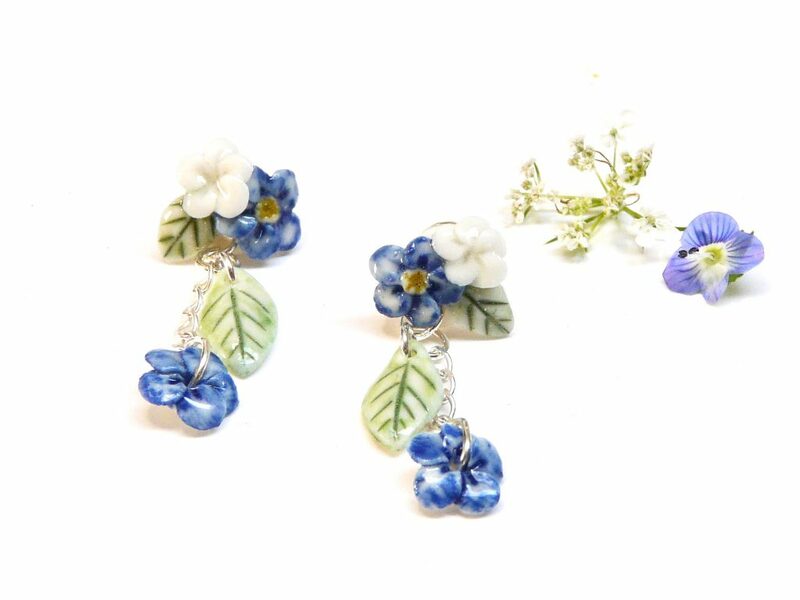 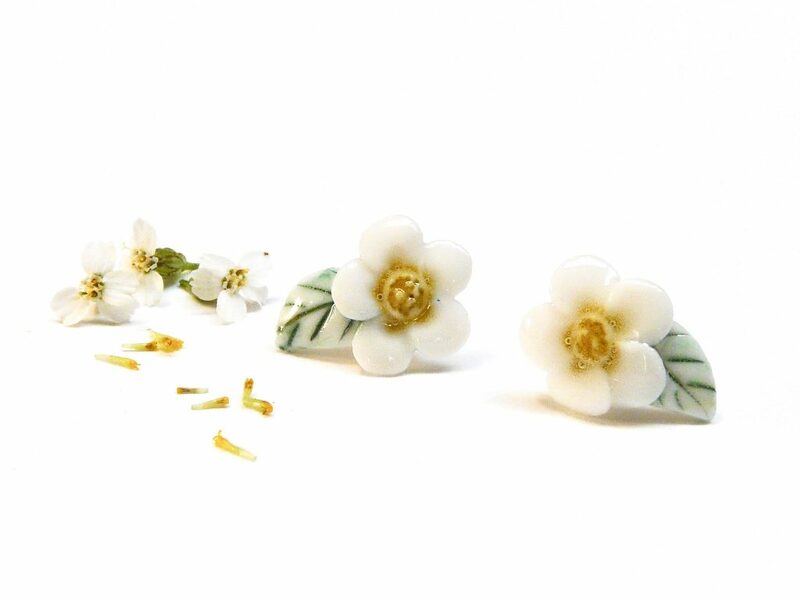 A lot of new ear studs with tiny porcelain flowers and leaves, some natural and some in flowery colors. 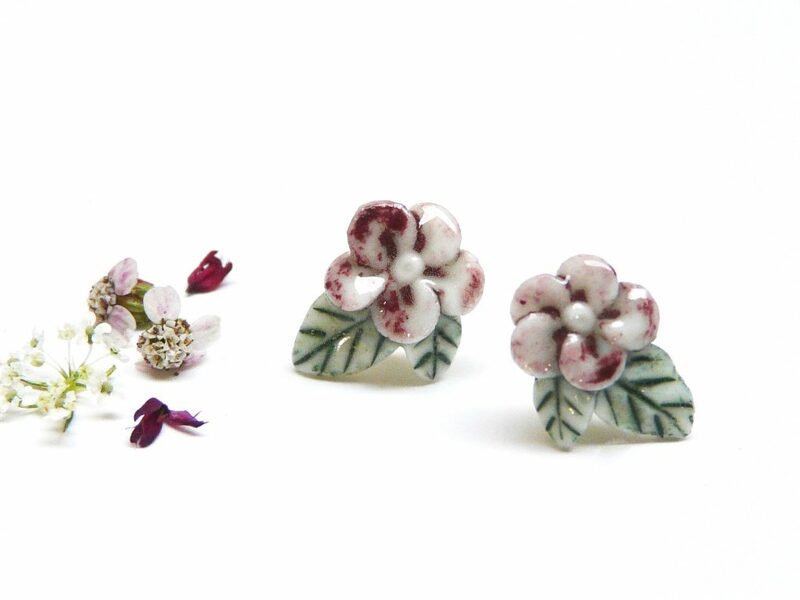 They are all made with love, the finest porcelain and sterling silver. 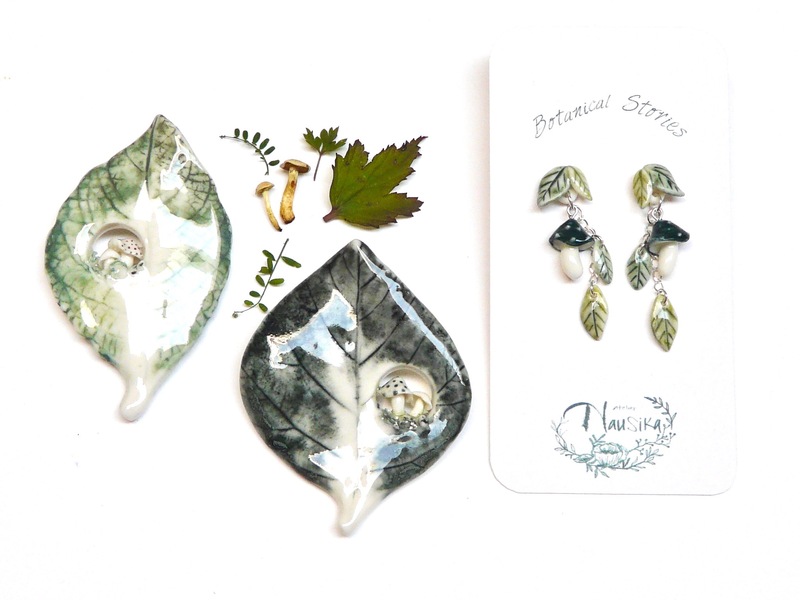 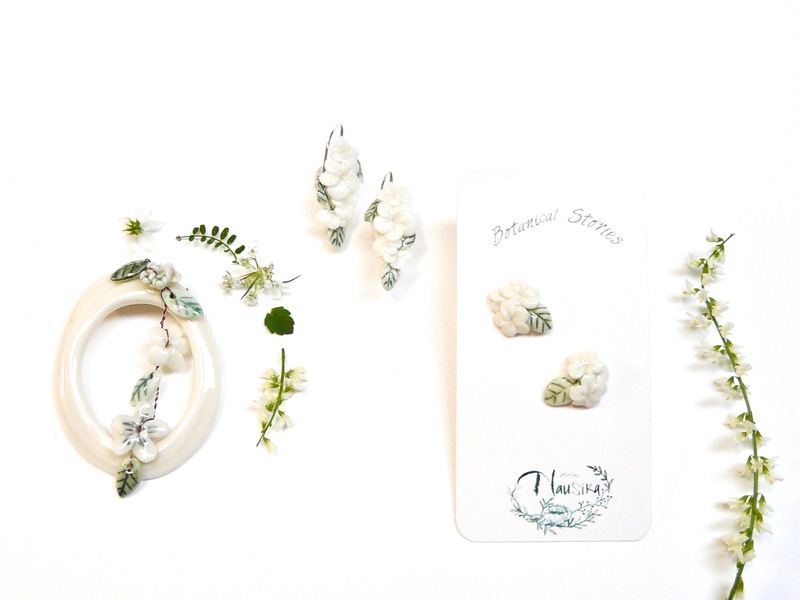 Matching earrings and brooches in the Botanical Stories collection. 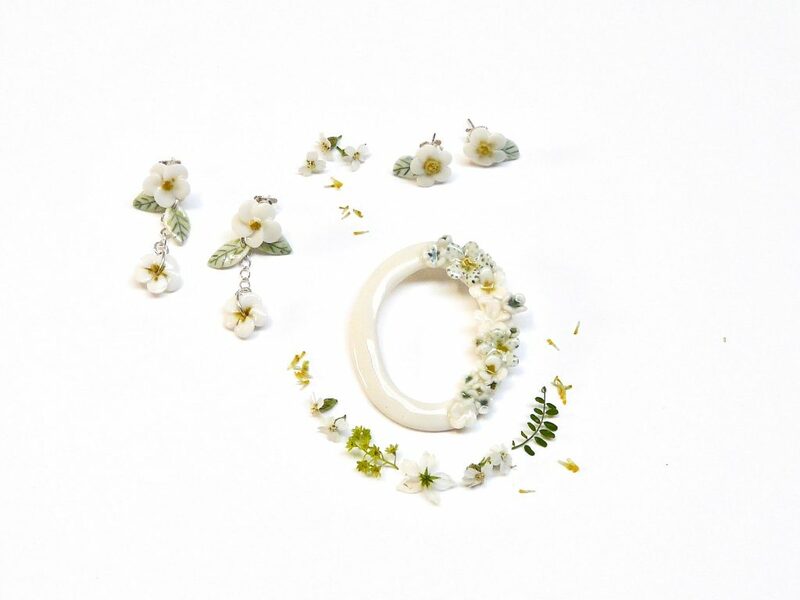 Inspired by the shapes of tiny flowers and delicate leaves in nature and the joy they daily offer us. 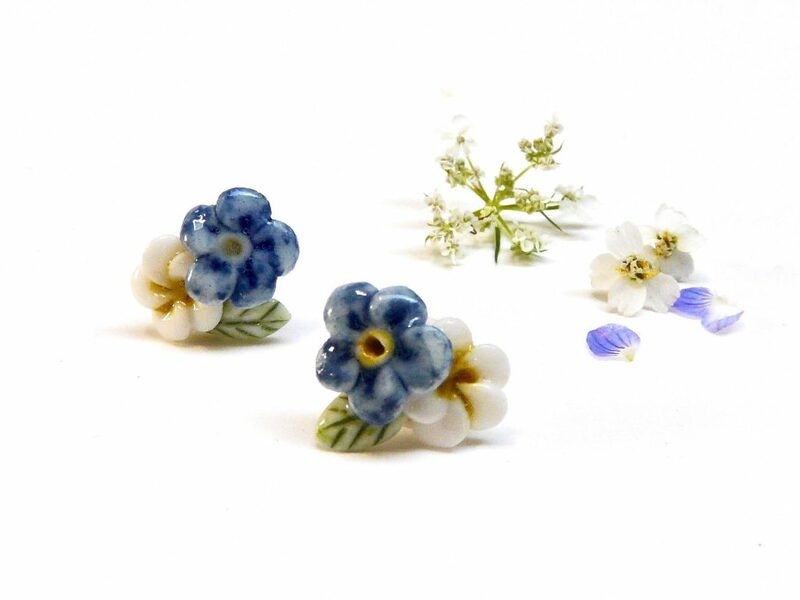 These beauties will never fade! 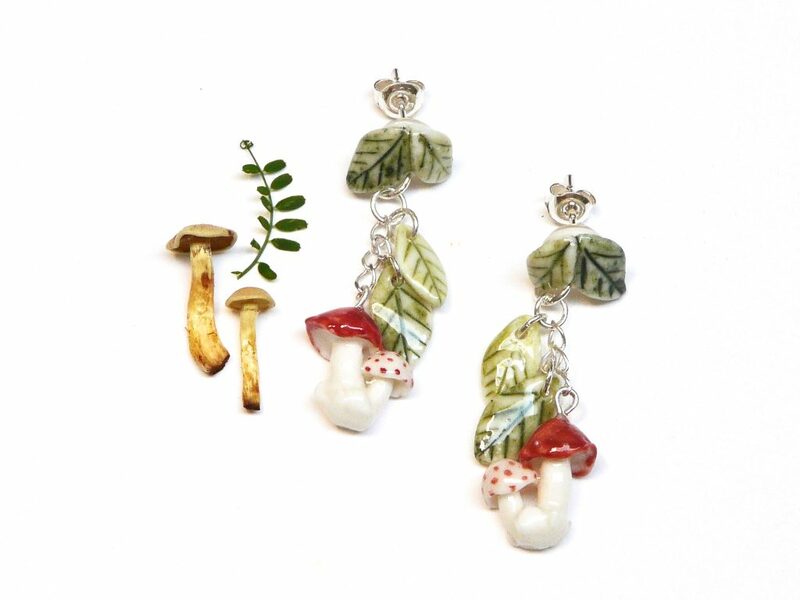 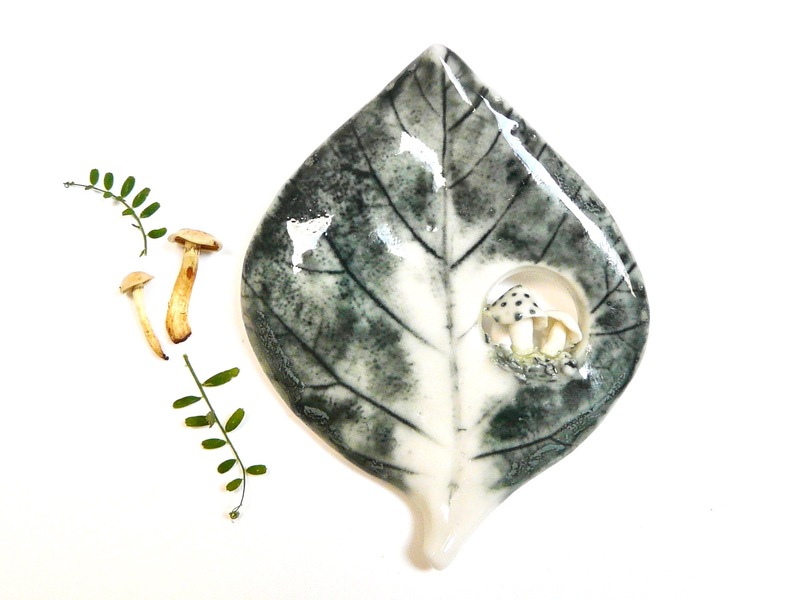 And of course, when it’s Autumn, one can’t live without mushrooms and leaves in warm Autumn colors. These brooches and earrings will look beautiful on a warm coat or colorful scarf during these golden and windy days. 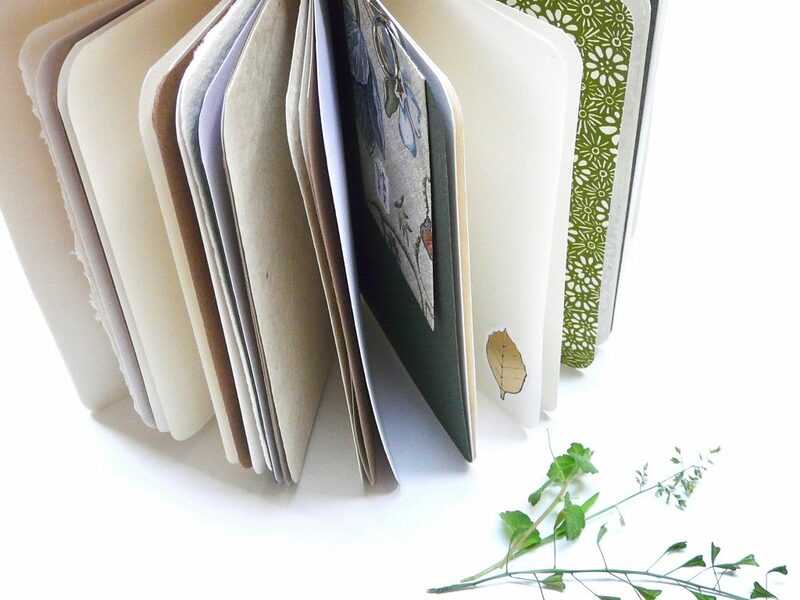 As the days are getting shorter and darker, it’s cozy to be inside and be creative. 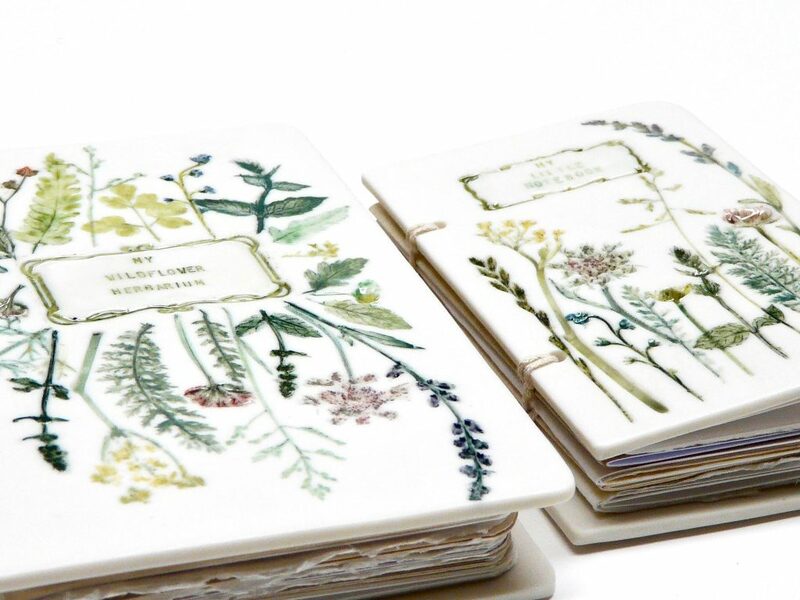 These unique porcelain notebooks are the perfect books to write your ideas and thoughts down. 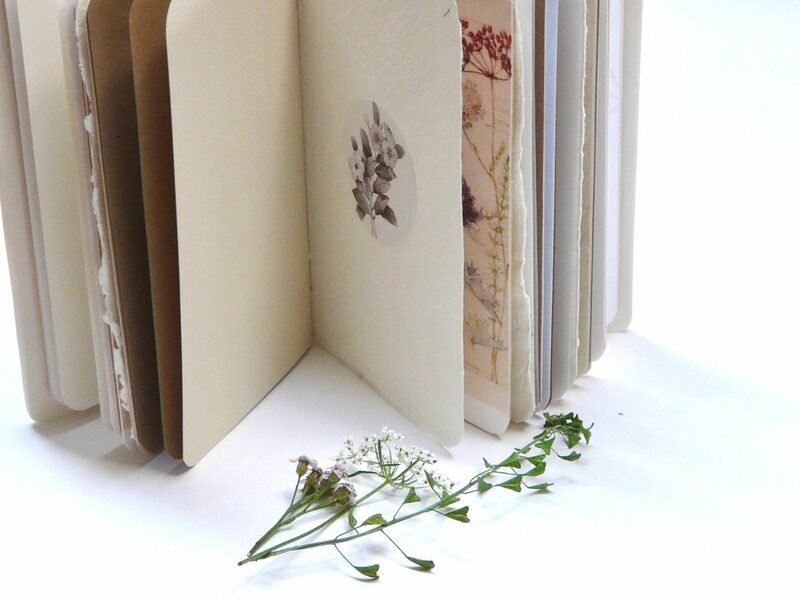 Or maybe you still have some dried summer flowers and leaves that need a safe place to be collected. 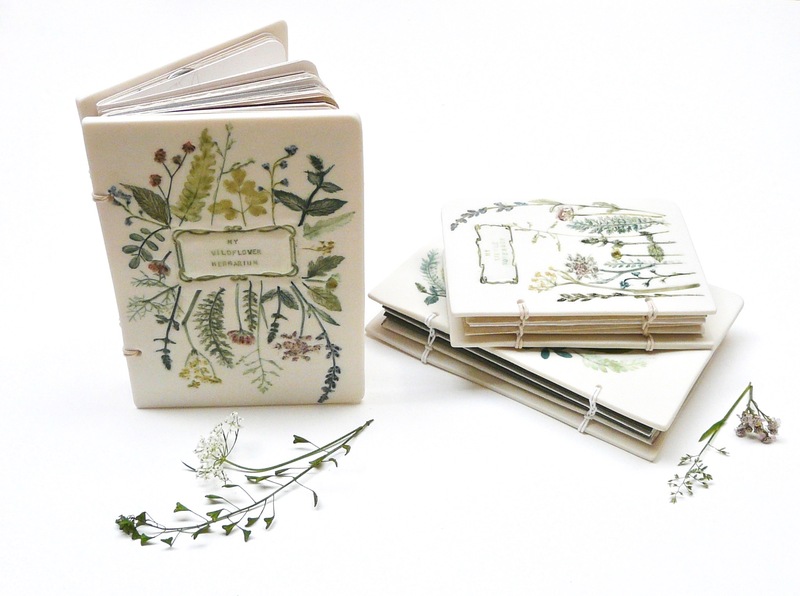 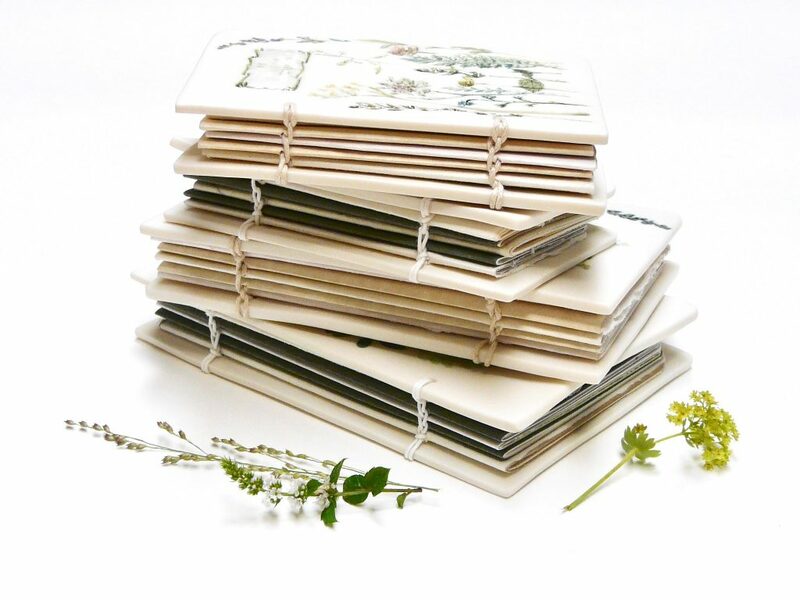 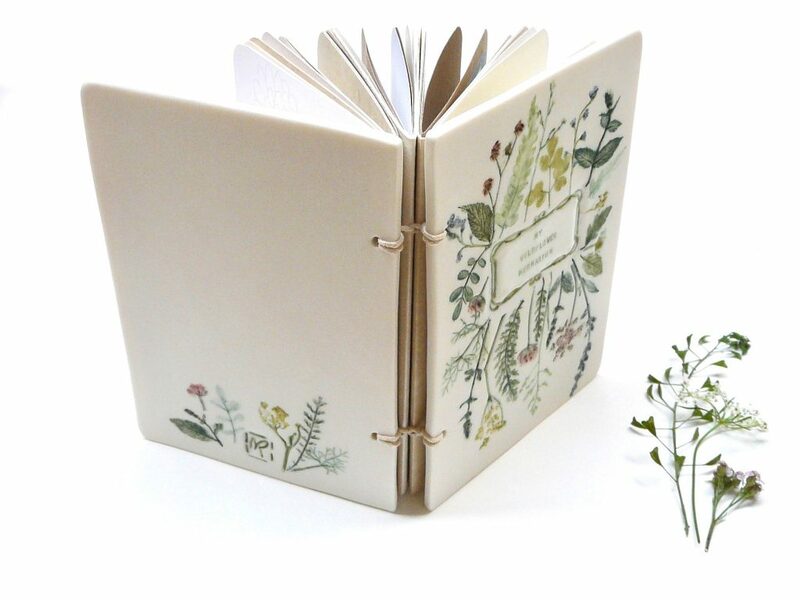 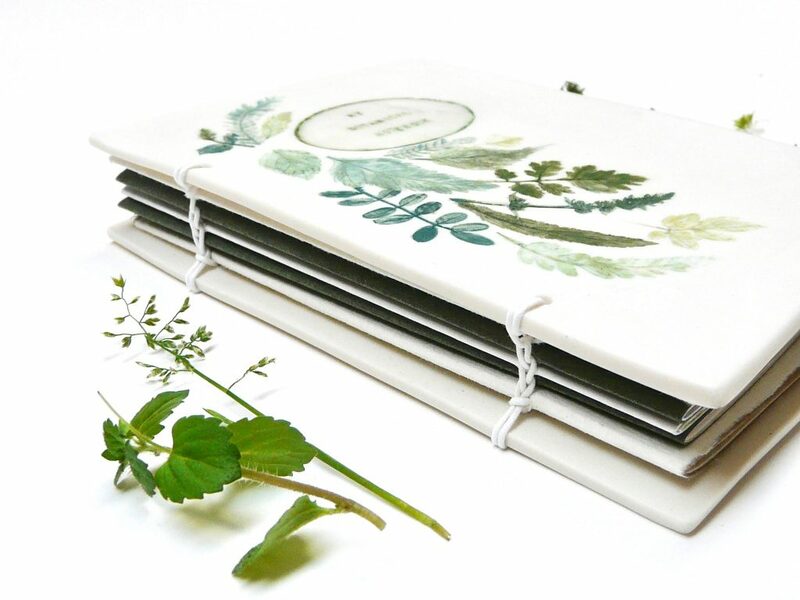 What could be better than this lovely herbarium notebook with tiny envelopes, botanical stickers and illustrations, … ?! 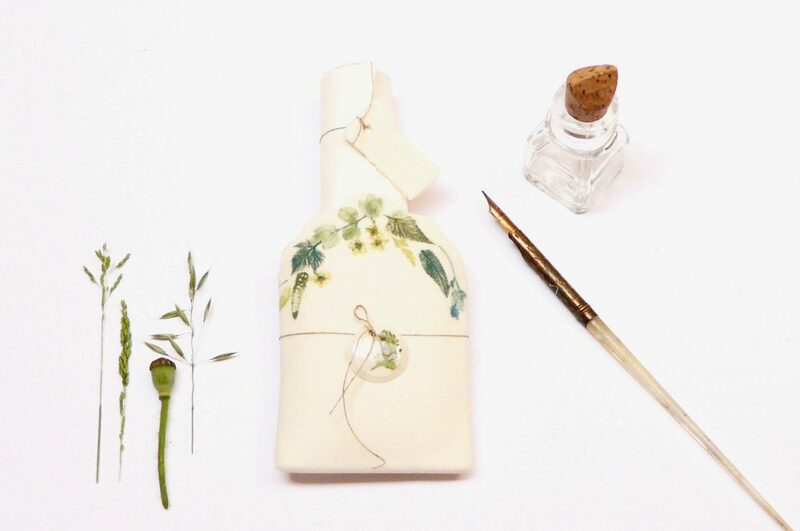 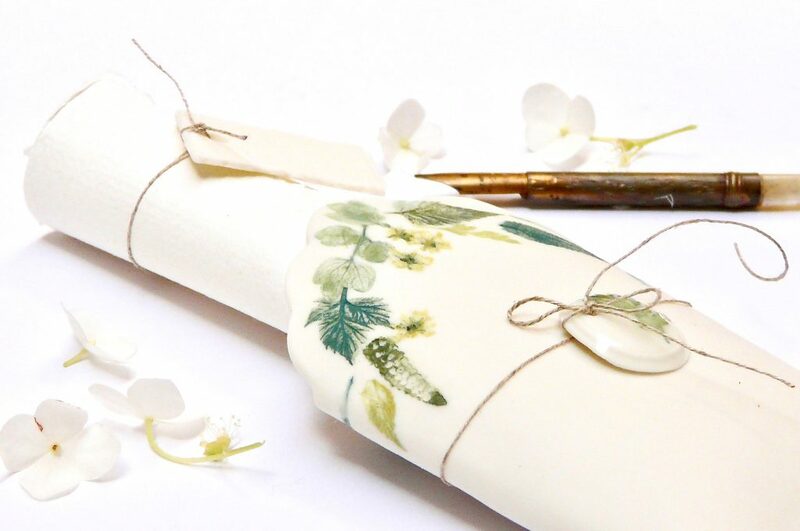 This porcelain envelope with handmade paper is the perfect gift for someone who loves to write poems or calligraphy. 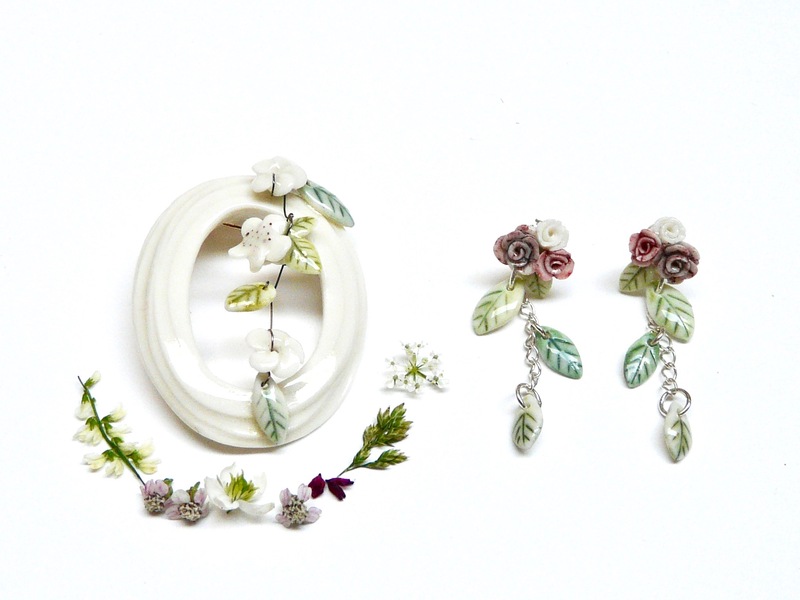 You can take a look in my shop to see more or if you would like to order something! 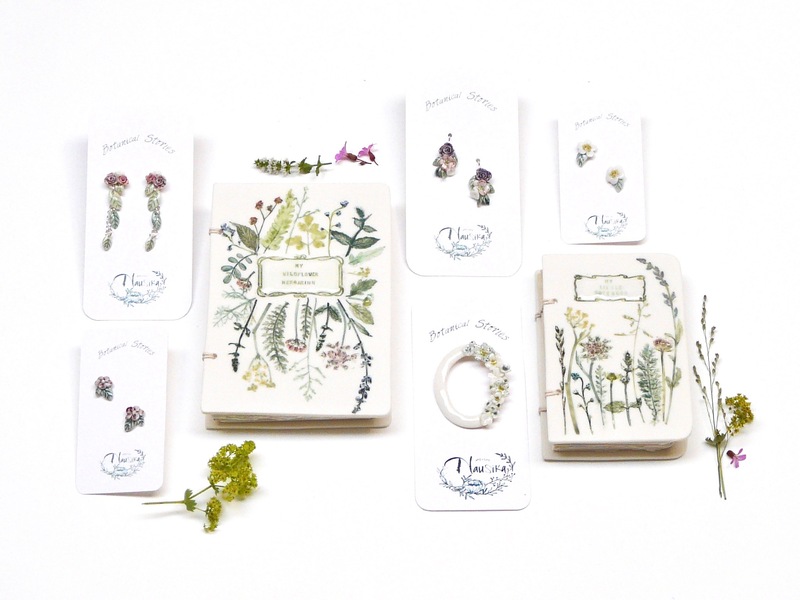 It’s also possible to order a custom order. 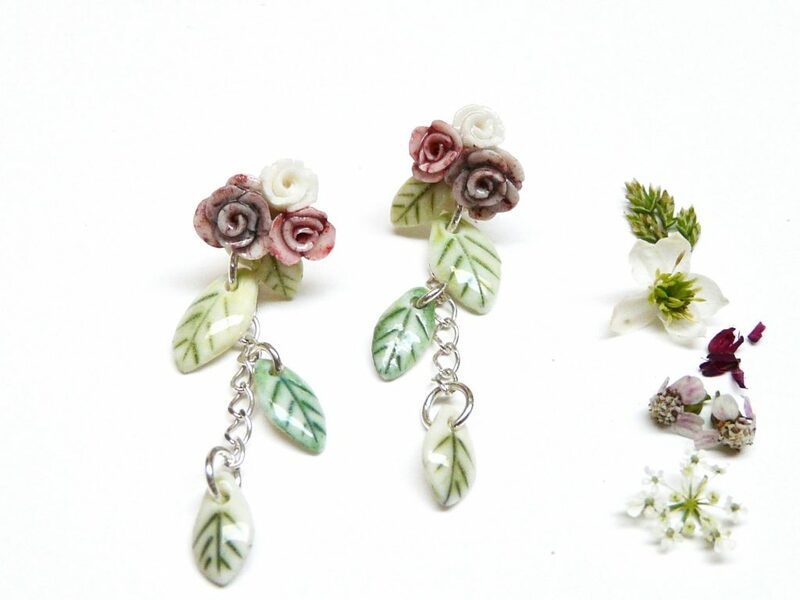 So if there’s something you would prefer in other colors or something more personalised, I will gladly make it for you.